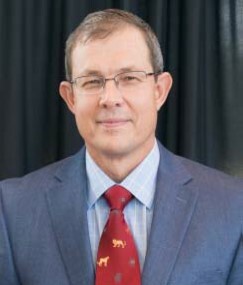 The Range Science Education Council and the Society for Range Management proudly present the 2015 Outstanding Undergraduate Teaching Award to Dr. Urs P. Kreuter of the Department of Ecosystem Science and Management at Texas A&M University. This award recognizes individuals who have demonstrated excellence in teaching, advising, and mentoring over an extended period, often a career. Dr. Kreuter has excelled as a teacher, advisor, and mentor to undergraduate students at Texas A&M University for over 16 years. He has taught a variety of courses including “Principles of Rangelands Around the World” and “Ecosystem Management” with excellent student reviews. Students have been especially enthusiastic about the Study Abroad in South Africa course that Dr. Kreuter developed. In their letters of support, students repeatedly cited Dr. Kreuter’s enthusiasm for and dedication to providing students with an understanding of the global nature of rangelands. They appreciated the energy he devoted to teaching and his encouragement to develop ideas, think critically, and incorporate systems-thinking into their approaches to rangeland issues. Many felt that his Study Abroad course changed their lives by providing experiences and understanding they could not have acquired otherwise. Dr. Kreuter has received several awards for undergraduate teaching at Texas A&M, including Department of Ecosystem Science and Management Undergraduate Professor of the Year in 2008 and the Association of Former Students’ Distinguished Achievement Award – College Level Teaching in 2013. One of his most prestigious awards was to be selected by students at the university level as a TAMU Fish Camp Namesake in 2007. Dr. Kreuter has also contributed to rangeland education through his co-authorship of a textbook and two Rangelands articles on the future of teaching in range science. For his exemplary dedication to achieving excellence in teaching, advising, and mentoring, the Range Science Education Council and the Society for Range Management are delighted to present Dr. Urs P. Kreuter with the 2015 Outstanding Undergraduate Teaching Award.